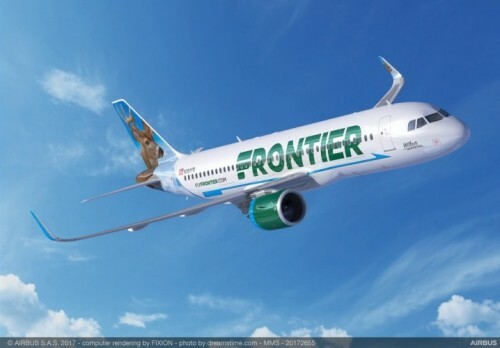 The budget-priced airline with the funky furry tail's Frontier Airlines has announced its intent to order 134 A320neo Family aircraft from Airbus, which will triple the size of the carriers fleet over the next 10 years. The deal is valued at a list price of more than $15 billion, will expand Frontier’s order book to more than 200 aircraft and also means more than five thousand new, highly skilled jobs for the US. 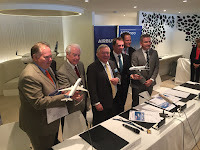 This order forms part of the single largest Airbus order announcement ever made - a 430 aircraft order valued at a $49.5 billion list price by Indigo Partners who own Frontier Airlines. This new 134 aircraft order is comprised of 100 A320neo and 34 A321neo aircraft. The A321neo will be a new complement to the carrier’s existing fuel-efficient A321 family fleet. The addition of these aircraft to the fleet will allow Frontier to grow in new and existing markets, provide even more compelling low fares, further improve the carrier’s already industry-leading fuel efficiency and maintain the company’s status of having one of the youngest and most modern fleets in the U.S. The 134 aircraft order announced today will be delivered between 2021 and 2026. Yesterday's announcement is further testament to Frontier’s commitment to job creation throughout the US. The new aircraft mean the addition of more than 5,000 new positions including pilots, flight attendants and operations support. In addition, in 2018 Frontier will start taking delivery of aircraft from Airbus’ US.-based Mobile, Alabama production facility. Additionally, Frontier also converted its remaining 18 A319neo orders to the A320neo aircraft. 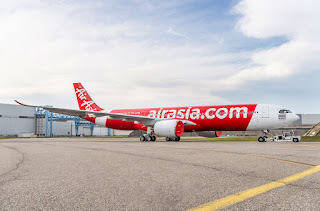 The airline currently has 67 A320neo aircraft on order. This new order will allow Frontier to continue its focus on achieving the lowest costs in the U.S. airline industry and utilizing these savings to lower fares. Earlier this year, Frontier announced a network expansion that makes the carrier’s low fares accessible to 90 percent of Americans.